Firing up the grill with a cold beer in hand is a time honored warm-weather tradition. Plus, there’s something mouth-watering about the crispy, smoky skin and tender, juicy meat of grilled poultry. 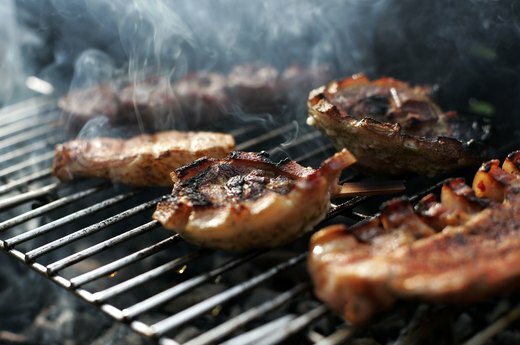 While tried-and-true grilling methods and marinades are all well and good, try something new the next time you decide to throw a bird on a sizzling hot grill. We promise your taste buds will thank you. You’re probably thinking, “This is the manliest way to grill a chicken ever invented," but more importantly, it's also one of the juiciest ways to grill a chicken ever invented. Besides, what’s better than cracking open a can of beer and grilling on a hot day? Perch the bird on a half-filled beer (drink the other half!) and prepare your grill for indirect heat. The slow roasting technique coupled with the steam from the beer results in juicy, fall-off-the-bone tender meat encased in crispy, dry roasted skin. Remember to use caution when removing the chicken from the grill because that beer will be boiling hot by the time the bird is cooked to perfection. 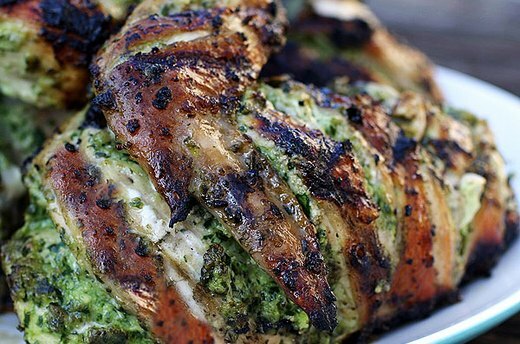 Make sure every delicious grilled morsel is flavorful by slash-marinating your chicken before throwing it on the grill. While traditional marinating coats just the surface of the meat, slashes ensure sure that every crevice is filled with your marinade, sauce or rub of choice. Say goodbye to the days of keeping extra sauce on hand at the table! You’ll need to brush up on butterflying a chicken before you fire up the grill, but a little technique goes a long way with this simple grilling method. Once the bird is prepped, wrap a brick in aluminum foil (shiny side out for the aesthetically conscious griller), season the chicken and you’re ready to grill. Why do you need the brick? It does three things: it compresses the meat so it cooks evenly, it keeps the meat covered to prevent it from drying out, and it presses the chicken against the grill for those iconic grill marks. Plus, it’s an easy way to impress onlookers at a BBQ. If you’re looking to add variety to your marinade repertoire, then look no further. Curry will spice up your usual grilled chicken -- literally. Curries ranging from Indian to Thai vary in both spice and color. 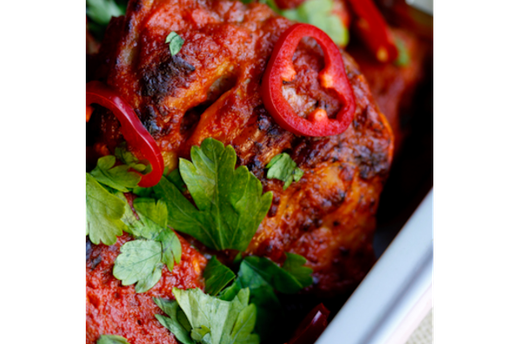 The result is delicious, flavorful grilled chicken that pleases the stomach and the eye, like the Indian butter curry grilled chicken pictured here. Your eyes will definitely be bigger than your stomach when you make this chicken. 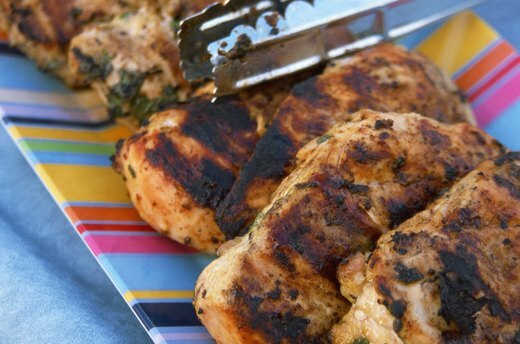 Skewers are probably the most convenient way to grill up a chicken meal. Pieces of chicken and various veggies are all skewered and cook on the grill at the same time. Don't let the simplicity of this grilling method fool you -- grilled chicken skewers are far from boring. 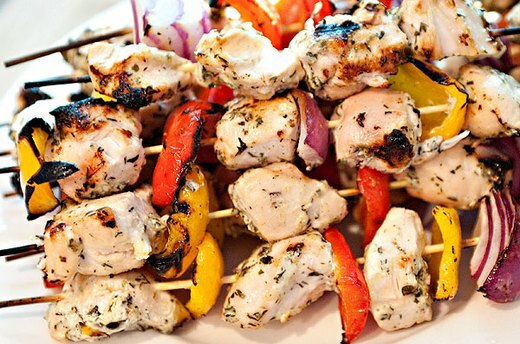 Simplicity leaves room for marinate creativity, like the Greek grilled chicken skewers pictured here, marinated with Greek yogurt, olive oil and Mediterranean spices.